Don O’Malley Jr and Sam O’Malley are the key figures behind this 3rd generation, family owned business. 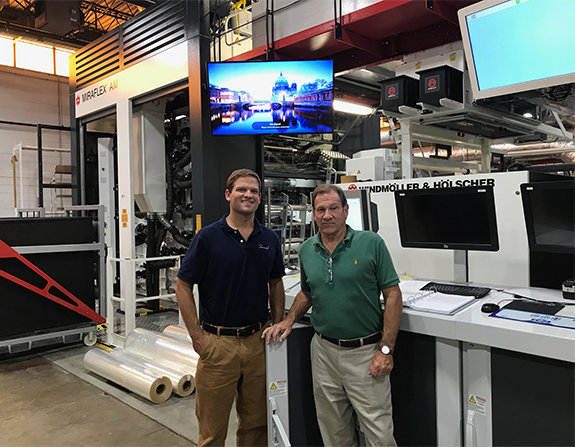 After taking over his father’s bag making business in the mid-1980s, Don has spent the last 32 years investing in printing, laminating, and slitting equipment. Sam joined the business in 2004 after graduating from Southern Methodist University with a degree from their Cox School of Business. Over the past 13 years, he has worked and trained in all aspects of the business. His experience in sales, graphics, operations, and human resources gives Sam a broad perspective of the marketplace and the business. At Formel, we understand the complexities of modern-day supply chain and we take great pride in being there for our customers. Call now to speak with a live representative and let us know how we can help you.